Dealing with a defiant 3 year old is never easy. 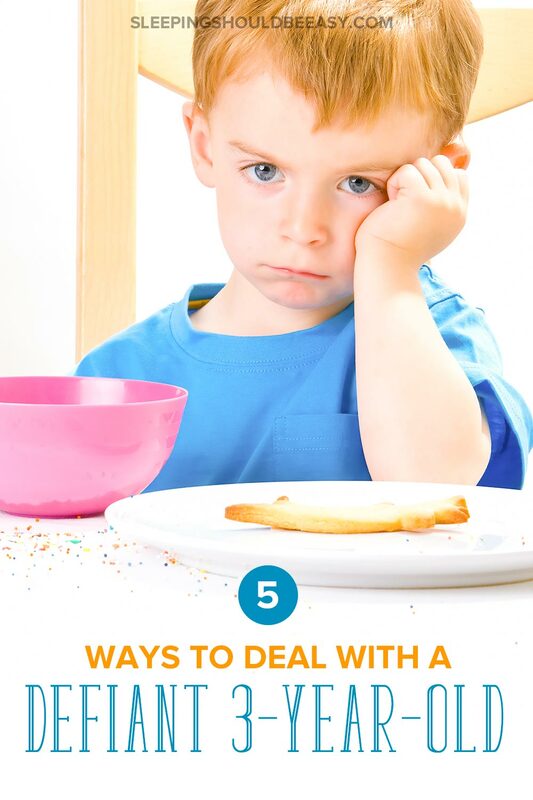 Take a look at 5 unusual ways to discipline a defiant toddler without yelling, and with respect instead. Your child’s behavior is getting beyond exhausting. He purposefully does something he’s not allowed to do, like slapping stickers on the coffee table (which never come off) or hitting his sister. He might throw a toy car across the room and not think anything wrong of it. You’ve tried time-outs and confiscating toys and privileges. You’ve even spoke to him in a firm tone of voice and explained why his behavior is inappropriate. Except he shrugs it off and goes right back to doing it again. It’s gotten to the point where—you hate to admit it—you don’t even want to be around him, especially when you get so frustrated and angry. You seriously don’t know what to do anymore. If you can relate, trust me: you’re not alone. Dealing with defiance in kids is emotionally and even physically exhausting. Sometimes you worry your child’s behavior sets a bad example for his siblings, and it’s easy to feel like you’ve run out of options to turn things around. I totally know what it’s like to feel as though you can’t enjoy one day in peace or have calm, family time. 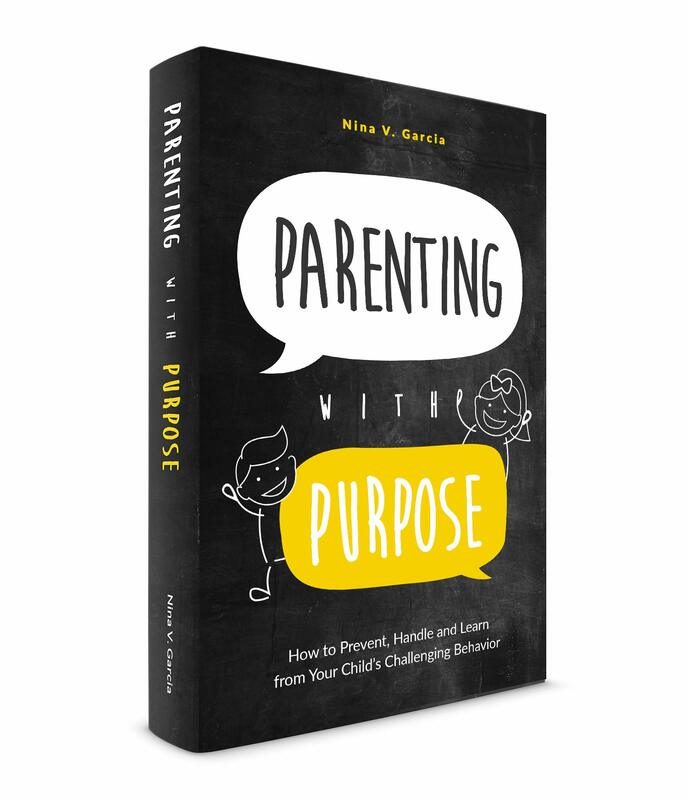 While typical parenting advice can work, sometimes children’s behavior goes deeper than what we’ve always heard we should do. The longer I’ve been a parent and the more I read about our relationship with our kids, the more I can see why some things don’t work. You see, we have a skewed view of what it means to be a parent. It’s not about “fixing” our kids or dealing with surface issues. The quicker we can change that and find a better balance, the healthier and more peaceful our interactions can be. You’d be amazed at how powerful our thoughts and expectations are and how they can affect our environment. 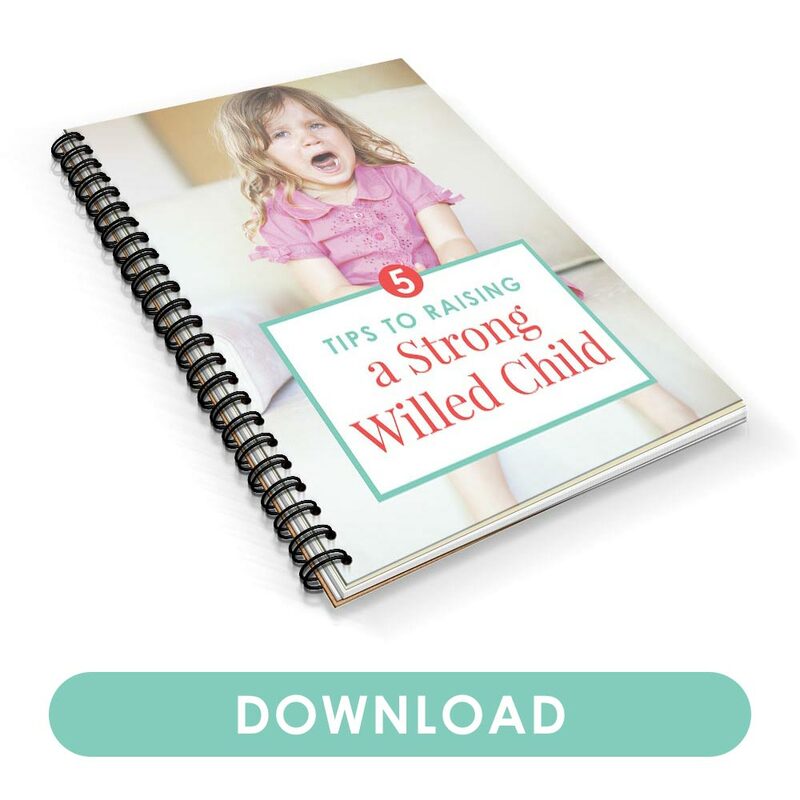 You might even harbor limiting beliefs about you and your child that are perpetuating your rocky interactions, even if you say you want to change them. For instance, what expectations do you have of your child? How do you see him as a person? Are you already bracing for his next misbehavior before the morning even starts? Kids will behave according to what we expect from them. Whether those expectations are set high or low is up to you. Already believing your child is a “troublemaker” or different from your other kids sets a strong message to both of you. Instead, you see him as the rambunctious boy who sees joy in little things, or who makes friends easily at the park. He’s the boy with a wild imagination and amazing problem-solving skills, and treats others with utmost respect. And it doesn’t just apply to our kids. The way we think of ourselves also sets the stage for how we interact with them. Do you tell yourself you’re always stressed and angry? That you’re not strong enough to handle your kids, that you’re making mistake after mistake? Those words and the way you think affects your confidence and belief in yourself. From time to time you will feel stressed and angry, and you may crumble when faced with a challenge. But change your internal dialogue, and you’ll also change how you respond to your defiant 3 year old. The trouble with parenting is that we see ourselves as being on the opposite side of our kids. They don’t listen, so we up the ante with punishments and consequences and stern talking-to’s. Except where does that get us? And is that really a fair balance, especially when we know who’s going to “win” (hint: us)? When we’re in “battle mode,” we’re out to triumph, sometimes at all costs. Instead, see yourself as being on the same side as your child. Think of yourself as a teacher, and your child a student. A teacher wouldn’t try to prove a student wrong or come out “right.” No—she wants to guide the student and see him do well. They’re on the same side. After all, discipline is nothing more than teaching. It’s not punishment or stern consequences. It’s simply teaching your child things like how to better communicate or cope with difficult emotions. Avoid power struggles. When you’re faced with a challenge, don’t see it as yet another epic war to battle through. See it as a teachable moment, one where you can both learn something new, with your child’s best interest at the forefront. It’s never too late to turn a bad parenting day around. One stressful episode doesn’t mean the rest of your day has to go south. That said, the way you start your day can have a huge impact in how you deal with a defiant 3 year old. The more intentional you can be with setting expectations for your day, the more positive you feel. For instance, do you wake up groggy and bitter that you didn’t get enough sleep? Already you’re thinking about what you lack—time spent sleeping—instead of thinking about all the possibilities the day can bring. Are you dreading something bad will happen? Then your mind is already looking for something bad to happen. You gloss over all the positive things because you were set on looking for negative things. But if you focus on the positives and all that you’re grateful for, then that’s what your mind will zero in on and see more of. We notice what we tell ourselves, whether good or bad. Focus on the good. One simple change is to go to sleep and wake up earlier so you have time for yourself. This includes typical morning routines but also being present and collecting your thoughts long before the rest of the family is awake. You might also wake up feeling grateful for all that you have, instead of grumpy about all the tasks ahead of you. And you can use this time to remind yourself of your role as a parent. That way, you come better equipped with patience when you feel challenged. Get more tips on starting a morning routine for toddlers. Despite what we think, our kids aren’t out to get us. They’re not sitting in their rooms plotting how to get us angry or devising ways to disobey. But they do respond to our actions and behaviors, especially when they see they’ve roused a strong reaction in us. They’re curious and trying to make sense of their world, and that includes how their parents respond to testing limits. It’s so easy for us to “bite the bait” and fall for it, too. Your defiant 3 year old not hanging up his backpack like you asked him to morphs into an argument over why he then doesn’t deserve to have a snack until he does what he’s told. You argue, yell, and cry for far longer than you’d hoped for. Now, I’m all about being consistent, especially when it comes to rules. You can guide your child and even explain the importance of doing chores. But at some point, we also need to ask ourselves whether this is even our problem to begin with. Instead, show your child that “you’ve got this.” Don’t overreact, especially over issues that, in the end, have very little to do with you. What do I mean by that? Let’s say he doesn’t want to put his favorite action figure away, despite you explaining that he’s less likely to lose it if he puts it back in the same place. Let the consequence of him losing it be the lesson he needed to learn. Putting a toy away has nothing to do with you and everything to do with him. But let’s say he’s not getting ready quick enough in the morning to get out of the house on time. His behavior directly affects you, because then you’re late for work. That then becomes an appropriate time to step in, more so than arguing about putting a toy away. Discover one technique to finally stop yelling at your child. Don’t overreact, especially over issues that, in the end, have very little to do with you. What does a good day with your child mean to you? Is it when she obeys and listens without any nagging? That you didn’t fight, and no one cried? For many of us, a “successful” day means all went well and life was easy. 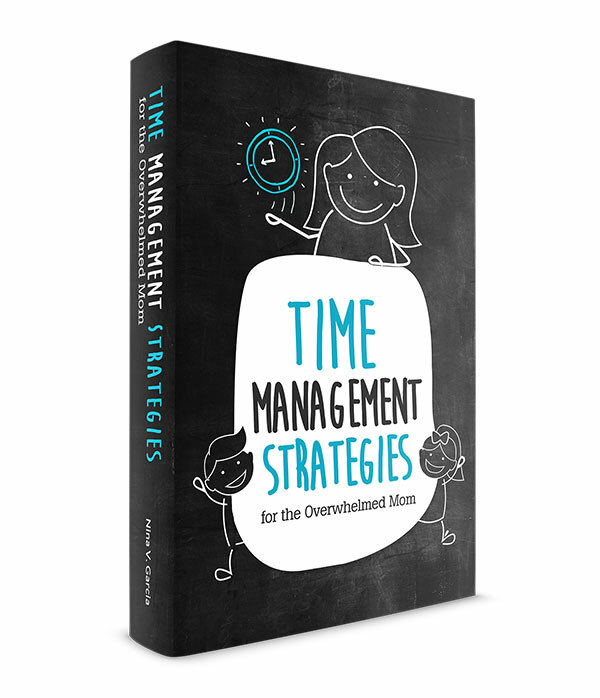 We had no tantrums that stressed us out or meltdowns that made us late. And yes, those days are awesome and certainly easy. But I would argue that we need to redefine what we think of as a good day. You see, we think of a good parenting day as anything that makes life easy… for us. But as we all know, raising kids isn’t about raising robots who do as they’re told. Life would definitely be easy that way, wouldn’t it? But we wouldn’t be fulfilling our roles as parents if that were the case. Because those “bad days” where your defiant 3 year old threw the worst tantrum ever, or cried all the way to school? They were hard, but they could also have provided some of the best lessons she’s had and even the bonding both of you needed. So maybe success means your child learns to compromise and develops empathy for how others feel. Or maybe it means she found ways to soothe herself from feeling upset, or learned to apologize to her sister, or felt true remorse for her actions. Change how you think of success—it’s not just about making sure all is happy and fuzzy. A successful parenting day could also come during some of the hardest and rawest episodes you and your child have. Learn how to cope when your child seems to ruin everyone’s day. Those “bad” days can provide some of the best lessons your child had and even the bonding both of you needed. Phew, this was a lot to take in, and certainly not typical parenting advice you’d find about handling a defiant 3 year old. It’s never easy to admit problems with your child’s behavior, especially when nothing you’ve tried in the past seems to have worked. But now you know the changes you need to make at a deeper level, however difficult it may be to change those habits. Start by changing the way you think about your child and even yourself, and see the both of you as being on the same side. Change how you start your day, and don’t take it upon yourself to own all of your child’s problems. And finally, redefine “success” and what a good parenting day really is—sometimes it’s those difficult days that offer the most teachable moments for both of you. No more exhausting episodes, my friend. Now you know how to deal with a defiant 3 year old, even as you find yet another sticker slapped on your coffee table. Tell me in the comments: What are your biggest struggles with your defiant 3 year old? I feel my 3 year old would prefer his father as he says he loves his father when he comes home, every 8 days for a week. When I pick him up he doesn’t want to go with me, doesn’t want me to pick him up from day care either Just prefers the people around him rather than me. Big hugs, Elizabeth! It’s tough when our kids prefer one parent over the other. I promise you this isn’t forever. I actually wrote an article about this: https://sleepingshouldbeeasy.com/2017/08/07/toddler-prefers-one-parent/ I hope that helps! Reading your post has really turned my life around. I cannot thank you enough. I have a highly spirited & at times defiant 2 year old girl. She is my life & it is a miracle that we even have her (that is another story for another time)…..but lately I have been struggling in dealing with her . A lot.A LOT. Reading your post gave me a whole new perspective on things. On reflection, I think my attitude had been a major factor in my struggle. Anyway, to make a long story short, I have started to enjoy being a Mummy again & I cannot thank you enough. You have a fan forever !!!! Oh that’s so awesome, Kellie! Nothing gives me more joy than hearing how the work I do is helping moms like yourself. I’m so glad the post resonated with you and provided that a-ha moment we sometimes need, that simple change in perspective that can help improve how we interact with our kids. It’s totally possible to enjoy motherhood like you said, even with the challenges that come with it. Thanks so much for sharing your story and letting me know—I truly appreciate you! My three year old refuses to use the toilet, she says I will ask you if I need a wee but then has an accident, we have been in pants for 7 months but are now back to pull ups as the accidents were beginning to ruin our relationship, any advice greatfully received. Jenny yes—I actually wrote an article about potty training accidents, especially after they’ve already been potty trained. It should be out soon, but basically the gist is: stop the any type of rewards you’re doing, go back to the drawing board as if you were starting potty training again (eg 3-day potty training method, going frequently on a schedule, etc), watch your reaction (both disappointment and frustration), etc. Definitely stay tuned for that article when it comes out. Hi Mehru! It’s definitely challenging when these episodes happen. It’s a good thing that you notice that there are many days when he does listen and behave appropriately. Like any of us, he’s not perfect and will have his off days—it’s just that he’s still at the age where he’s learning how to manage and cope with his overwhelming feelings. Either way, it can feel so shocking and frustrating to parents, like it has triggered something in us. Notice though that we sometimes behave in the exact way we don’t want our kids to behave. We throw our own tantrums, we also raise our voices, all while expecting our kids not do just that. This is understandable, but you can see why resorting down that path, like you said, doesn’t work and makes it even worse. In those cases when you feel yourself bubbling up with anger, pause… do something to lean away from that frustration. Maybe it’s walking away, going into another room, giving him a hug, letting him know you need a break for a moment, focus on something else and shift your attention elsewhere. You don’t HAVE to continue to engage with him when he’s throwing a fit—it’s totally okay to say you need a break for a moment and you can calm down first. It’s extremely difficult to connect with our kids much less get anything productive done when both of you are too upset to process things. Once you’re calm, then you can work on calming him down. And I’m willing to bet that you calming down will also rub off on him and make him calm down as well. Only later once you’re both calm and collected can you then talk about discipline and what to do and how to behave, because that’s when he’ll be receptive to it anyway. Rest assured you are not alone! We’ve all had these moments. Focus on the positive times when he does do a good job and acknowledge him for those moments as well. I hope that helps! Thank you for this! I sat down in exhaustion and prayed for wisdom as a mom. I typed in ‘how to deal with disobedience in a three year old’ and clicked on your website. It was exactly what I needed to hear. Thank you so much. I’m so, so happy to hear that, Wendy! I’m glad you found my site, too—sometimes it takes those breakdowns to see the breakthroughs 🙂 And definitely keep me posted on any insights and changes you get from the articles and ebooks—I’d love to hear how it goes! We are currently raising our grand daughter that is 3, she is very defiant and seems to push every button possible. There are good days few and far between. She will do right the opposite of what she is asked to do. I sit at night when she is finally in bed and cry a lot and wonder what else I could do. We have tried time outs, taking toys and other things away that she likes. This hasn’t helped at all.